ZEAL comes 3rd in Rising Star Contest + 2nd Place in Pan Pacific! ZEAL at Aotea Centre for the Rising Star Contest. 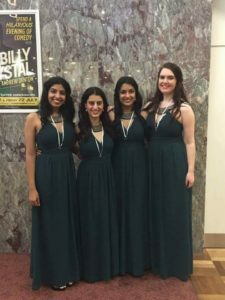 You are now looking at the Under-25 women’s barbershop quartet ranked 3rd in the WORLD and 2nd in the Pan Pacific Region!!!! Since competing at the national competition in Wellington in April we have been rehearsing and performing like crazy people to get ourselves up to scratch. 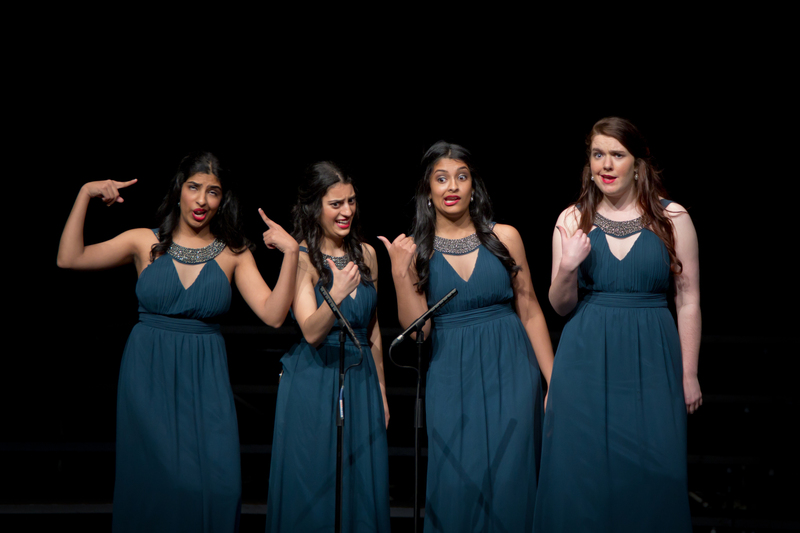 With coaching from some barbershop greats like the magnificent Carole Persinger, Lori Lyford and Kim Vaughn, we transformed our ballad and added some sparkle to the showmanship plan for our uptune. In the weeks leading up to the big day, we had an intense performance schedule lined up including a trip to Nelson in early July where we performed at a number of schools promoting the Young Women in Harmony organisation. We really wanted to work on overcoming our nerves and all the performance experience was the perfect way to achieve this. It also kept our vocal cords nice and warm and stretchy since we were doing so much singing! ZEAL on stage at Aotea Centre. The Sweet Adelines Rising Star Contest and Pan Pacific Harmony Festival were held in conjunction with each other at the Aotea Centre in Auckland on July 13-14. We were drawn to go first so had the pleasure of getting up at 4am so we could be fully dressed, hair-styled, made-up and warmed up by our 9am backstage call. It was all over in a FLASH – and we felt incredibly happy with how we did. We had worked so hard and gave the best performance we could have hoped for. When we got off that stage – WOW, the adrenaline! We were so stoked with how far we’d come since April and our commitment to the performance we’d just done. We had really high hopes for the contest but knew there was some very strong competition so we were happy with our 3rd placing in Rising Star and 2nd place in the Pan Pacific Festival. 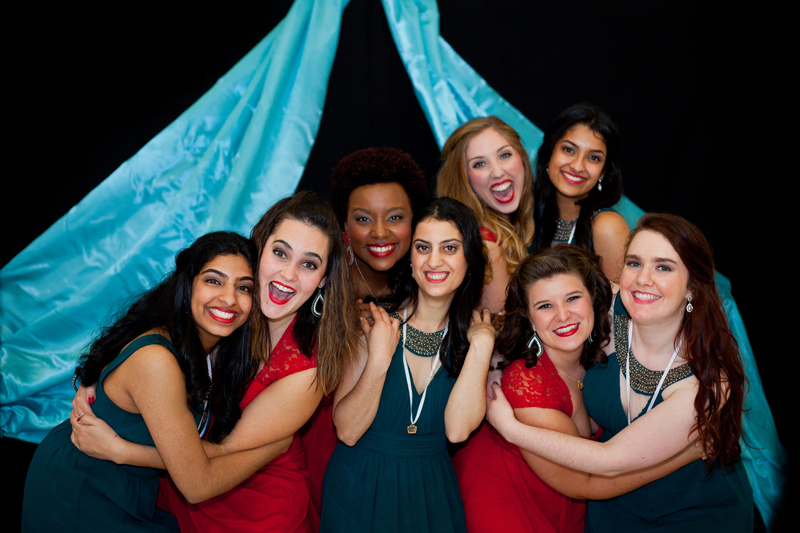 ZEAL with previous Rising Star champions, C’est La Vie! 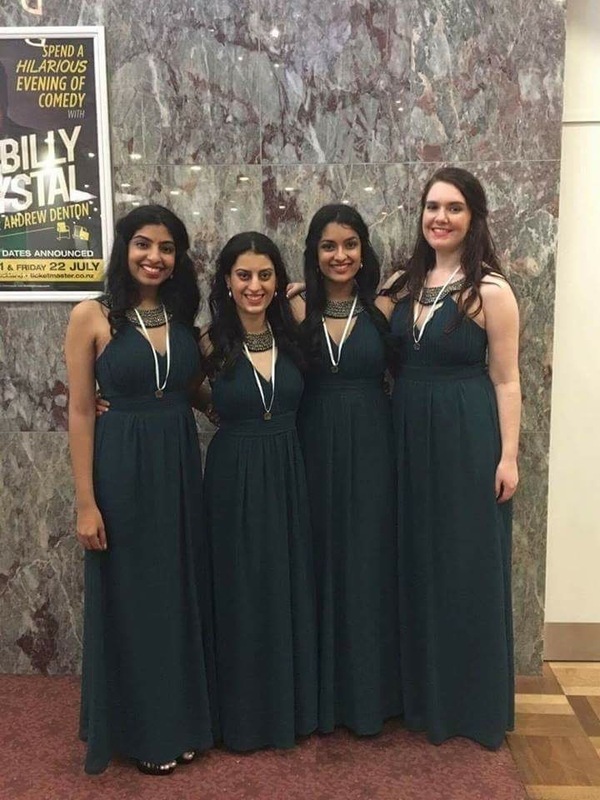 Previous Post: « My quartet ZEAL won at our first ever contest!